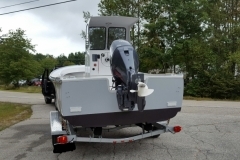 GM 20' - General Marine, Inc.General Marine, Inc. 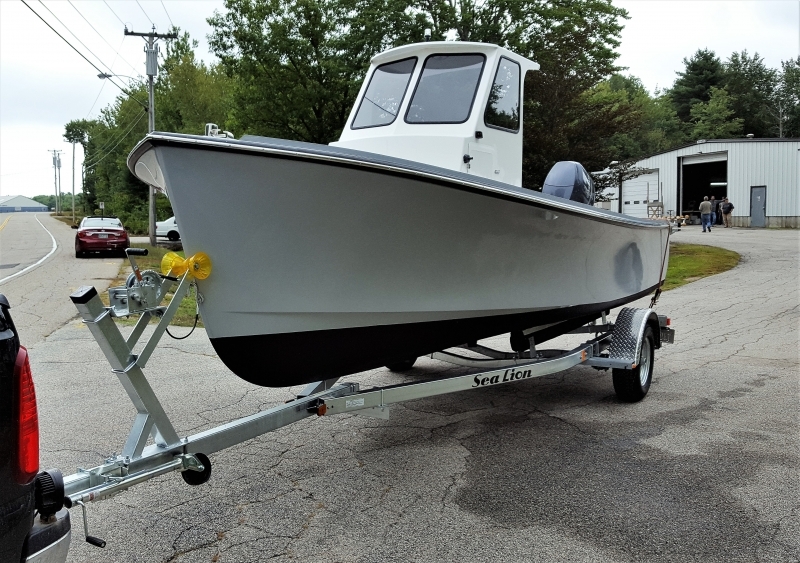 The General Marine 20' is a modern down east hull design that incorporates the latest in modern building methods. 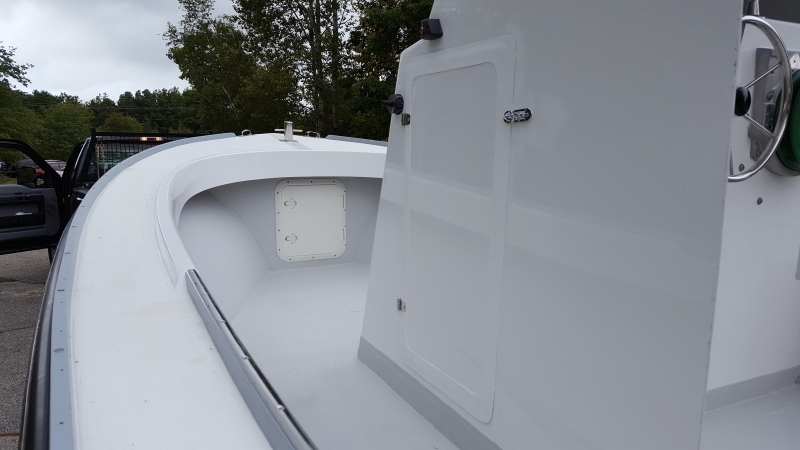 It’s fully molded, modular, foam filled stringer system and penske board reinforced transom offers the stiffest, strongest method for reinforcing the hull, sole deck and transom, and because it’s all composite you don’t need to worry about water absorption. 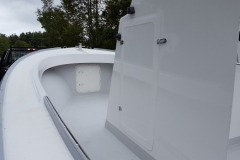 The hull comes with hand laid fiberglass, using epoxy based vinyl ester resin. 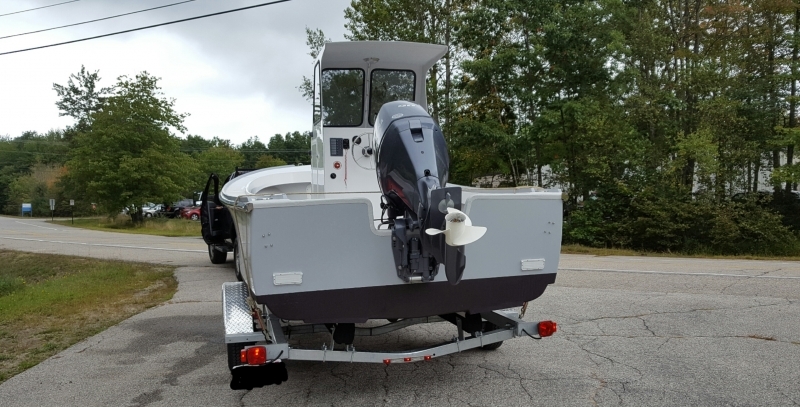 The 20’ boat is built to tough New England standards and comes with a 10 year structural warranty. 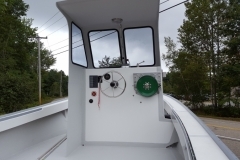 With her modern hull design she is stable and soft riding. 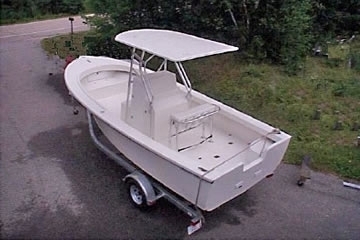 The boat has molded in spray rails and flair in the bow to ensure you stay dry and comfortable. Workboat finish with fiberglass plywood deck and rolled gel finish. 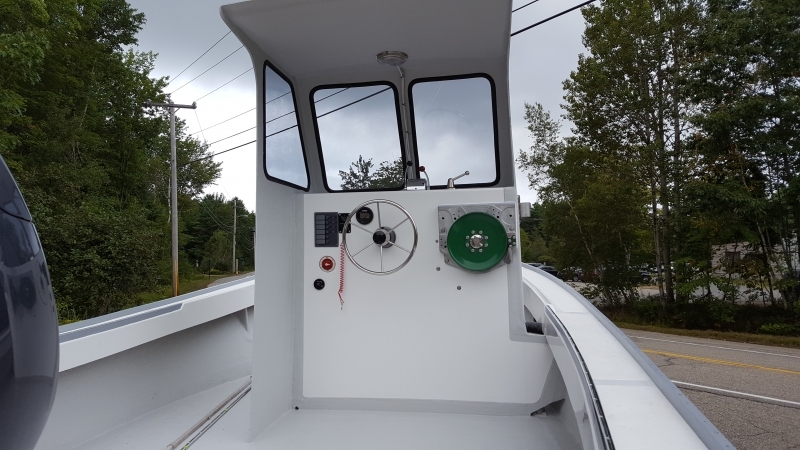 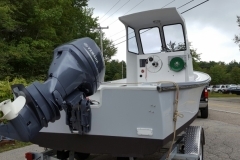 Complete molded fiberglass throughout , molded diamond non-skid decks, Portable head in console, forward seat with storage, anchor locker, port and stbd transom seats with storage and central, Port and Stbd in deck storage lockers.